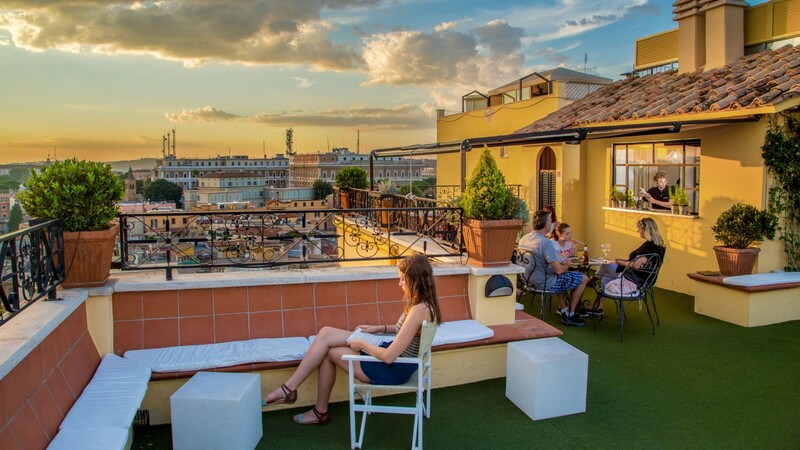 Our furnished Rooftop, open throughout the year, can be used by guests to relax away from the chaos of the city, while enjoying one of the most stunning views of the Eternal City: romantic rooftops, the Colosseum, the Imperial Fora and the magnificence of Archaeological Rome; the massive basilica domes and, in the distance, the Castelli Romani hill towns. 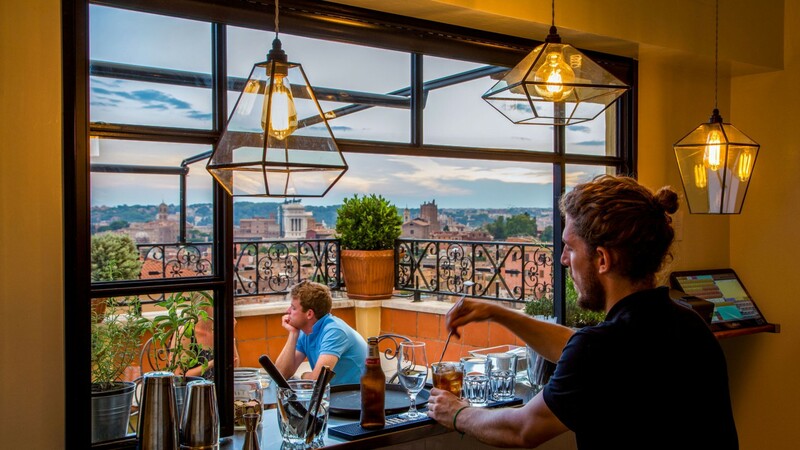 After a long day visiting Rome's treasures, the terrace bar, open from March to November, is the ideal place to relax and refresh with excellent cocktails, nibbles and snacks. 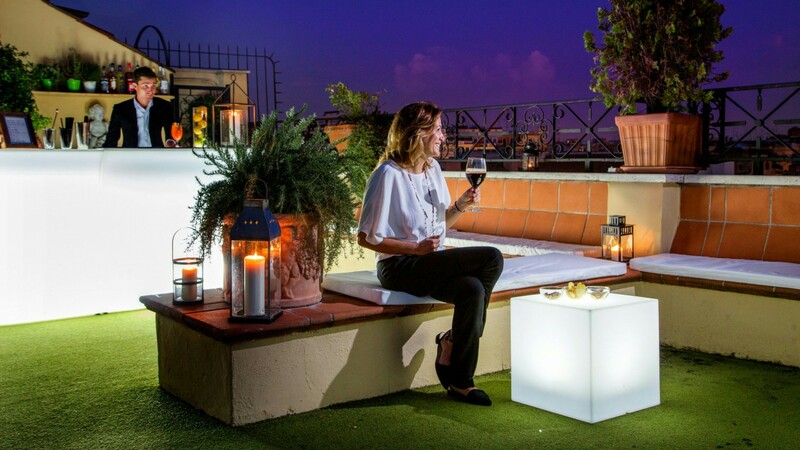 During the months the bar is closed, guests can use the outside phone to order their drinks from the Hall Bar, which will then be brought to you on the terrace by our staff.